Protect your iPad Mini without sacrificing style with Verbatim's Folio Signature Case for iPad Mini and iPad Mini with Retina Display. 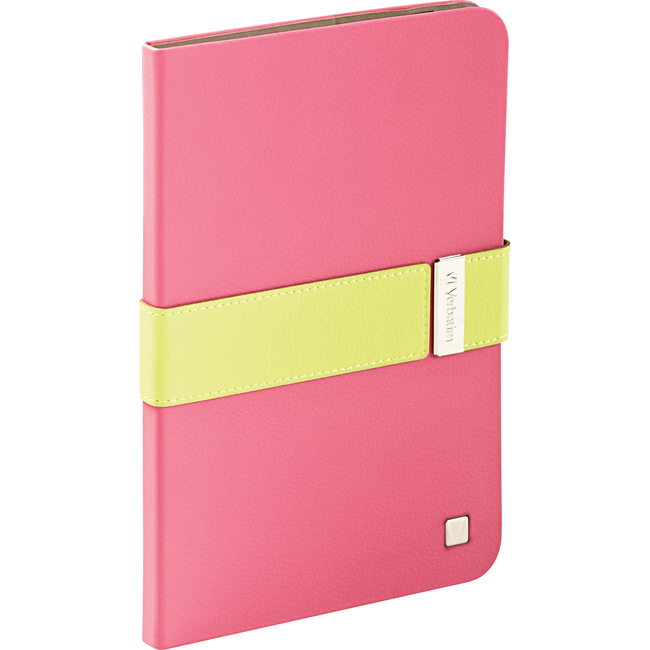 Available in a variety of vibrant and sophisticated color combinations, the Folio Signature Case provides full front and back coverage for your iPad Mini - protecting it from scratches and scuffs associated with everyday wear and tear. The magnetic belt closes securely, while the cover doubles as an auto on/off control and folds into a landscape stand.